We are opening a new project! – Fanta surgery and rehabilitation. 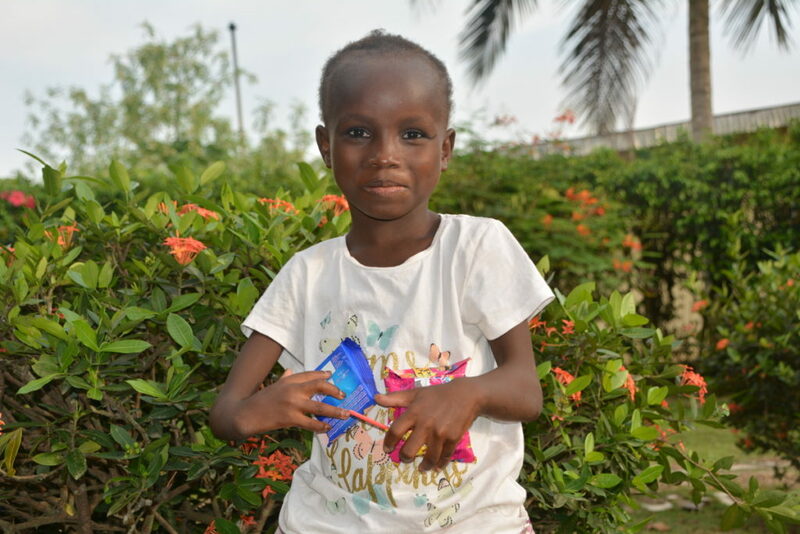 Fanta has been under the protection of our foundation from the very beginning, when we saw her, we knew that we could not pass by her indifferently. Since last year, the girl has been in a distance adoption project, thanks to which she could have carried out all the necessary tests and be qualified for the operation of the handle. The girl is 7 years old and needs surgery to be able to function normally, and we know that it is possible. Fanta was born with a distorted elbow bone and no radial bone. It also has a slight distortion of the right arm. She was tested in the ONLY orthopedic hospital in Côte d’Ivoire and qualified for surgery. Unfortunately, the costs of surgery and rehabilitation far exceed the costs of a distance adoption project. Therefore, once again we turn to you for help! Maybe among us is a doctor who is the best orthopedic surgeon who would like to contact us? And thank you for help from dr. Aleksandra Kosmęda for commitment and willingness to help at any time of the day or night! We would like to offer her the perfect gift for the day of the child, although there is little time until June 1. PLN 4,700 that can change the comfort and quality of life of a 7-year-old child who dreams of being able to go to school normally and play with his peers.